Netflix is now entering the realm of The Voice and American Idol with hip-hop reality show Rhythm + Flow. The show has reportedly been in development for over a year and is being produced by Jesse Collins Entertainment, Get Lifted Film Co. and Gaspin Media. This type of series is new for Netflix. As Deadline notes, "Doing music competition series on streaming platforms is inherently difficult as most shows involve live performances and a chance for viewers to vote." Though information is still limited, here's everything we know so far about Rhythm + Flow. This competition consists of 10 hour-long episodes. It's described as a hip-hop-themed "multi-city competition series" dedicated to finding raw, undiscovered talent. Executive producers include John Legend, Jesse Collins, Jeff Gaspin and more. 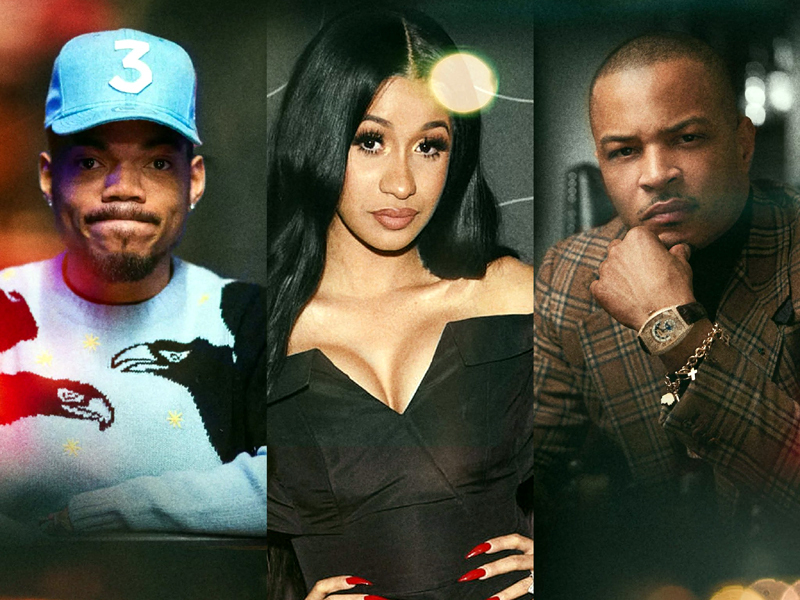 The three main judges on Rhythm + Flow are industry icons Cardi B, Chance The Rapper and T.I. More musical guests will be announced closer to next year's premiere. Chance The Rapper posted on his Instagram page that the judges are looking for artists who are three things: unsigned, dedicated and ready. T.I. says that they're trying to find "the next unreleased, underground hip-hop superstar. … This is going to be a different approach than anything you've ever seen before, and with us as judges, the authenticity is gonna be through the roof." Cardi B actually got her start on a similar series, VH1's Love & Hip Hop: New York. "I'm looking for the diamond in the rough. I'm looking for somebody who's gonna stick," she said in her own Instagram video about Rhythm + Flow. "A lot of people can spit, but they can't make music." Netflix was not available for immediate comment on release date specifics, but we do know that Rhythm + Flow is set to premiere in fall 2019. Check back in with Metro because we'll be updating this with more information as it's made available. According to a Netflix news release, auditions will begin across the U.S. this fall, and they'll even be held in the judges' hometowns: Atlanta, Chicago and NYC. "In each audition city, established rappers who hail from that city will serve as guest judges to help seek out the best unsigned hip-hop artists," states the news release. "Are you rap's next superstar? Audition now!" the Rhythm + Flow website declares. You must be at least 18 years old to apply. To sign up for auditions, click through to rhythmandflowauditions.com. And, follow the show on Twitter at @rhythmflow.